This is absolutely not true. The flu shot does not give you the flu. The flu vaccine is made with an inactive virus or no virus at all. The most common side effects of the flu shot are soreness, redness, tenderness or swelling where the shot was given. This is typically caused by the body’s immune response reacting to a foreign substance entering the body. Some people do get a low-grade fever, a headache and some muscle aches, but those symptoms last only about one to two days and are much milder than the actual flu. If you do get sick with the flu shortly after getting vaccinated, you were exposed to the virus before getting the shot. Getting the flu shot is always the safer choice than getting sick with the flu virus. The flu can be a really serious illness that can lead to a hospital stay or even death, especially for young children, older adults and people with chronic health conditions like asthma, heart disease or diabetes. If the virus the flu shot protects against hasn’t changed from the previous season, you don’t need to get another flu shot, right? Wrong! Your immunity after vaccination declines over time, so the CDC recommends getting vaccinated every year to make sure you stay protected against the flu. They didn’t actually have the flu. Other respiratory illnesses, such as the common cold, cause symptoms similar to the flu, so they just thought they had the flu. They were exposed to the flu right before getting the flu shot, so they were already sick. They caught a strain of the flu virus that was very different from the virus the vaccine was designed to protect against. 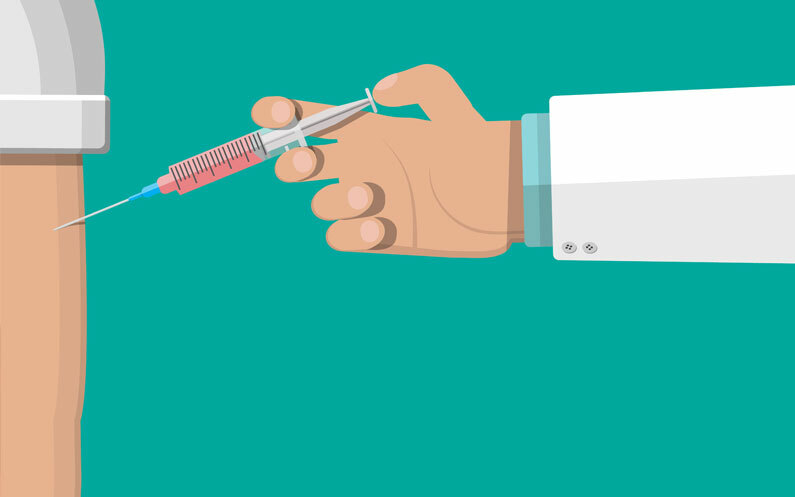 While the vaccine typically reduces the risk of illness by 40 to 60 percent, some people who get vaccinated still get sick. Only one study has suggested that getting the flu shot might make you susceptible to catching other respiratory illnesses. Many experts tried to replicate the results of that study but have not been able to do so. At present, there just isn’t enough evidence to suggest the flu shot makes you more susceptible to catching other respiratory illnesses. The flu is a contagious illness that might not be too serious for you – just pretty miserable for a few days – but could be pretty serious for someone you come in contact with, like a small child at the grocery store or an elderly person in the elevator. Don’t spread the flu; head to your nearest urgent care center and get your flu shot today! ZipClinic Urgent Care provides walk-in, extended hours service for most minor medical conditions in Denver, Aurora, and Westminster, Colorado; Bozeman and Belgrade, Montana; and Bowling Green, Kentucky. Most insurance plans are accepted and no appointment is ever needed.